Sunny Goodwin is the owner and director of Sunny Day Tutoring Services. She coordinates all tutoring activities and communications between parents, tutors and school staff. Sunny is a Master Teacher, Educational Consultant, Diagnostician and Curriculum Developer. She is fully credentialed with 38 years of teaching expertise in many subjects and grade levels, Pre-K through 12th grade and adults. As a longtime student advocate, she believes that everyone is born with a love of learning that is simply waiting to be tapped into. Her greatest delight is providing the key that unlocks each student’s natural gifts of self-confidence and enthusiasm for learning. Sunny Day Tutoring Services offers specialized higher math tutoring, reading and writing specialization, and tutors who are certified to teach English language learners. 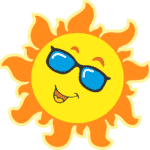 Sunny also provides learning materials for all grades and a wide variety of subjects for all ages. Derek has a Master's Degree in Mathematics, has taught at the Cal State San Marcos Math Lab, and has been a teacher for a number of years. He also teaches math and study skills at Contractors State Licensing School in Escondido. My name is Nancy Deters. In 2007, joining Sunny Day Tutoring Services encouraged me to provide assistance to benefit students in higher math such as in middle school and high school. I later developed a system to support my students in Chemistry, Biology, as well as in Physics. Elementary/Middle School-all subjects-10 years experience?? Desiree Caplas attended California State University San Marcos where she received her Bachelor of Arts in Communication. Desiree began working for the Oceanside Unified School District as an Avid tutor in 2007 and then became a substitute teacher the following year. 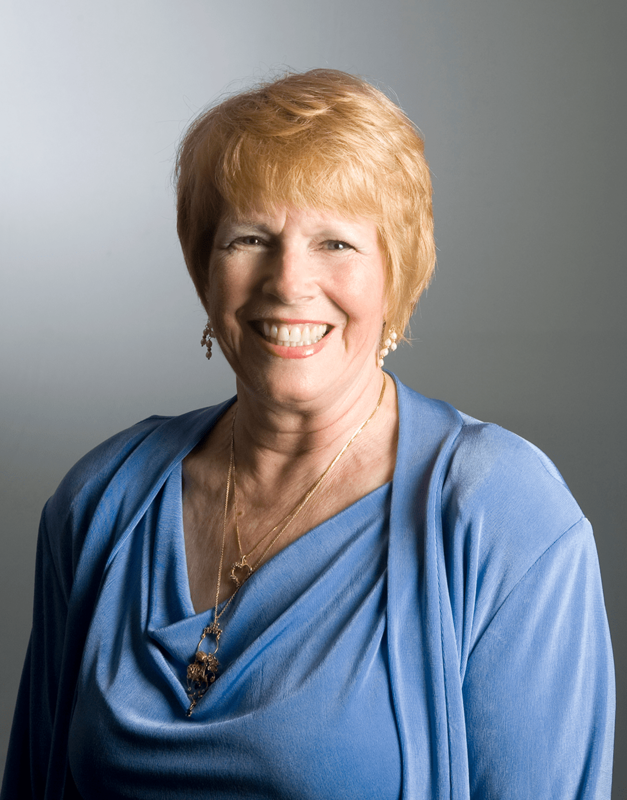 Linda Lavine is a credentialed teacher with multiple credentials, M.S. degree, and over 40 years experience. she is available to tutor your struggling student. She has experience with children and teens across all SPECIAL and typical needs and all instructional needs. 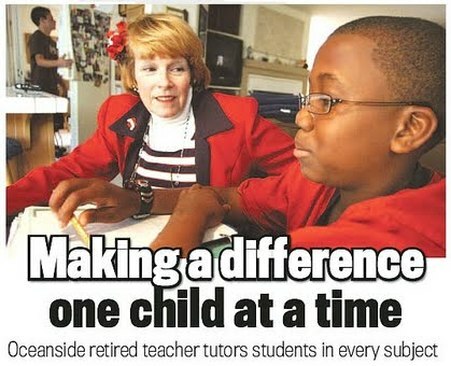 Dannette has had 15 years of Elementary school tutoring experience. She worked for 2 years as a substitute teacher, and for the past four years she has been working as an aide in a behavior intervention Classroom. She loves to see children succeed! Linda has 30 plus years of classroom experience. She has a degree in English and a second bachelor’s degree in Education. Mindfulness of each student’s needs is always her goal. I have taught for the Oceanside School District since 1999. I was a 4 through 6th grade teacher at Garrison Elementary and the following 11 years teaching mostly science and math at Chavez Middle School. My goal as a facilitator of learning is to provide a safe space where questions are asked and problems are thoughtfully solved. Theresa Organ has tutored Algebra, Geometry, and Pre-Calculus since college. She has been successful in helping her students (from as young as 9 and up to a 46 year old working on his bachelors) achieve their goals. She finds out the missing link by asking the student a lot of questions. Beth Niederman enjoys working with children and has been teaching and tutoring for thirteen years. She taught first and second grade in Salt Lake City, Utah, where she earned endorsements in elementary mathematics and in English as a second language. Trinity Serafin has been studying American Sign Language for 5 years. She is going to Palomar College with the goal to become an ASL interpreter. Trinity has volunteered in Girl Scouts and led trainings for younger Girl Scouts for 7 years. Patrick has been tutoring for 5 years now in Maths, Social Studies, and Sciences. He is currently a gym teacher, working mainly with homeschool and charter-school students. He also helps run an after-school program at a middle school in La Jolla. Pam has thirty-five years of teaching experience various grades in public schools. She has a Bachelors of Science and a Master's Degree, both in Education. She really enjoys tutoring Reading and Language Arts. Each session is filled with learning, laughter, and the student's interests, needs, and abilities in mind and heart. Parents notice their child's notice their child's improvement in self-esteem and increased motivation, as skills improve with tutoring. Merle Taylor has an extensive background as a writer, editor, and teacher. She was a journalist for thirty years, working principally as an editor. After completing her master’s degree, she taught freshman composition in the community college system for eight years. She has also worked as a composition tutor at UCLA and San Diego State University. She particularly enjoys helping young writers to polish their skills. Merle’s interests include reading, travel, language study, bridge, and genealogy.